The virtual lessons compliment and parallel our current Smith System driving philosophy giving us a more consistent safe driving message. We have had only one backing accident since we got the simulator in Tampa compared to last year when there were 26! The people that take it say it’s very powerful, and it makes them think. I took it myself — opened my eyes. Since July 2013 when we implemented the simulator in our facility, we’ve seen a 38% reduction in crashes. 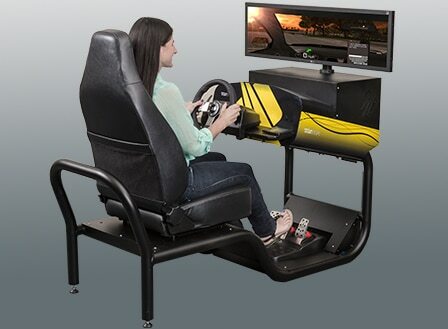 Driving simulators allow active learning by making it possible to give immediate feedback on driver performance. The simulators help students practice potentially dangerous driving complications, like rain or snow, in a controlled setting. They are incredibly helpful. It gives the kids a chance to actually try texting and driving without facing the consequences…The simulator shows them just how hard it is to do all of that at once. We had several students come back to us after the program and tell us that they thought about putting their phones down and they haven’t used them since. 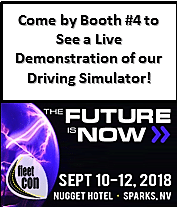 I worked with VDI to put simulators in schools throughout the State of Georgia increasing the number of students taking Driver Education by 450% and reducing teen deaths by 60%. These simulators WORK! Students love it, teachers laud the realistic simulation and the positive impact of technology in place now is clearly recognizable. I think (the simulator) gives us an opportunity for a controlled environment. To make sure that people understand it CAN and WILL happen to you. It’s not a matter of if, it’s when. You can make an error on a simulator and suffer no adverse consequences, whereas if you make an error behind the wheel of a car, it can be fatal. 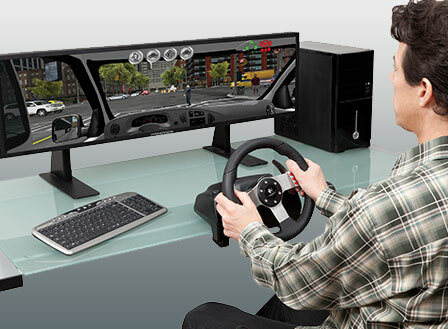 Virtual Driver Interactive simulators are ideal for training our dispersed drivers. The portability of the simulators allows us to securely move them from location to location with relative ease and set-up is straightforward. The training software combined with the external hardware is extremely realistic and the wide range of vehicle choices has something for everyone. Since July 2013 when we implemented the simulator in our facility, we’ve seen a 38% reduction in crashes. And, so far this year, we are trending well below last year’s numbers. The world’s first simulation based distracted & impaired driving experience proven to change behavior. Young drivers “live through” real life consequences of driving distracted or impaired. One Simple Decision® is VDI’s attitudes and behavior based driver training program. The simulation-based impaired and distracted driver program was designed and proven to stop destructive driving behaviors. Young drivers are immersed in a personal experience and live through the consequences of their driving decisions. I can’t say enough about the customer support. This is the difference between Virtual Driver and many other companies. Virtual Driving Essentials™ is not just a “driving simulator”, it is a completely immersive virtual learning experience designed for teen drivers to learn and refine critical skills essential to safe driving. Revolutionary new features such as real-time violation tracking, the web companion program married with pre and post assessment drives allow you to prove the transfer of learning and mastery of the topic. VDI has been an outstanding partner to work with offering a virtual training product that truly engages kids. After passing Joshua’s Law in 2005, I worked with VDI to put simulators in schools throughout the State of Georgia increasing the number of students taking Driver Education by 450% and reducing teen deaths by 20%. These simulators WORK! Industry’s Premier Interactive Simulation-Based Boating Safety Program. 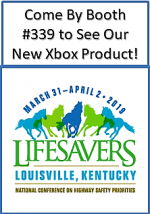 The Boating Skills Virtual Trainer (BSVT™) embodies high-end technology featuring three computer screens with a rotating field of vision, a steering wheel and a Mercury Marine throttle, and it reacts to variable settings for trim, current and wind. The realistic boating experience is the result of sophisticated water physics software developed by VDI and funded through a U.S. Coast Guard grant. Boating safety is the priority of the United States Power Squadrons. Offering this hands-on simulator will be a fun experience among new and experienced boaters alike. © 2019 VDI - Only in Simulation. All Rights Reserved.